Rhys Howlett chats to two winemakers to find out their thoughts on the benefits of fining and filtration against their potential impact on wine quality. Fining and filtration are two of the more commonly used F-words in the Australian wine industry with many winemakers holding strong views about their use, overuse or non-use. I recently spoke with two winemakers to find out what they believe is lost and what is gained through various fining and filtration processes and how they manage those opposing consequences in the winery. The most common fining agents in use are as follows: gelatin (animal-derived protein); isinglass (fish-derived collagen/ protein); egg white (albumen); casein (milk protein); bentonite (clay from volcanic ash); carbon (from charcoal); and polyvinylpolypyrrolidone (PVPP – synthetic polymer). When it comes to filtration, the more common methods are crossflow, pad, sterile membrane and earth filtration. 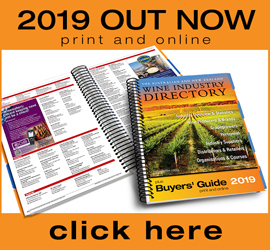 Winemakers have long-debated the merits or otherwise of fining and filtering wines and with the rise of consumer interest in vegan-friendly products, this will be a fertile area of research and development in coming years, particularly in relation to animal-derived fining products. Peter Rattray is a winemaker for Berri Estates, an Accolade Wines brand producing significant volumes of wine, mostly for export markets. His approach is to assess each wine on its own merits. “For each batch I conduct a bench trial with different fining agents and at different rates to see which ones have the best outcome,” Rattray said. “Fining agents should be used at the lowest possible dosage needed to achieve the desired effect. Any over-addition and there is a risk of loss of mouthfeel, colour and aroma. 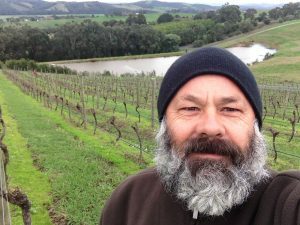 Rattray says there are two main reasons for fining wines at Berri Estates: “One is to remove any harsh, bitter flavours and unwanted aromas; the other is to help with wine stabilisation. When it comes to what is lost in the process, Rattray explains “over-filtration and fining can lead to a loss of mouthfeel, however if addition rates are kept to the lowest rate possible and the wine is filtered only when required, I believe there is no discernible loss of mouthfeel. Over in the Yarra Valley is one of Australia’s more colourful wine characters, Timo Mayer. Mayer doesn’t fine or filter any of his wines and is a passionate advocate for minimal handling. “We’re not ‘no interference’, we’re minimal interference. 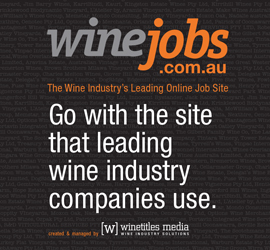 Just step in if something goes wrong, let the vineyard do the talking,” Mayer explained. 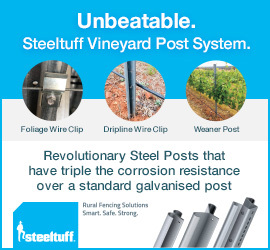 “When I came to the Yarra in 1996, working in a big winery, everything went through the RDV filter, the earth filter, the sterile membrane. Working in a big winery and seeing the before and after I thought, ‘I’m never going to do that’. To mitigate the risks of spoilage, Timo’s wines have no residual sugar and therefore less chance of unwanted microbial activity post-bottling. “My wines are bone dry and everything’s gone through full malo, red and white. That way nothing can really happen because everything has already happened! There’s nothing left, just put it straight in the bottle, job’s done. My wines aren’t protein stable and they’re not cold stable. I don’t cold filter and I don’t use bentonite so all my wines are unstable but I tell people – if something goes hazy, it means somebody nuked it, got it too hot. 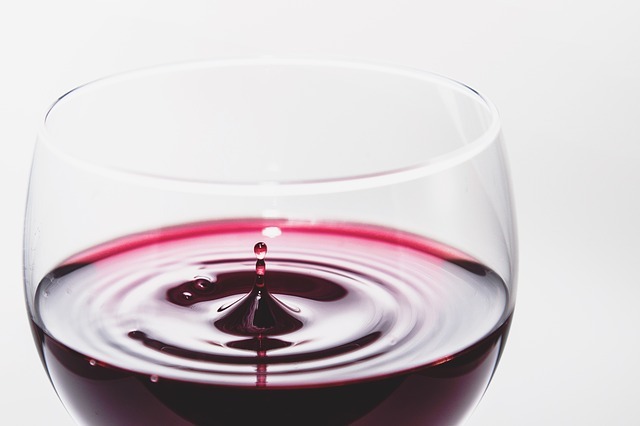 For many winemakers more attuned to fining and filtration as part of their regular wine processing, questions about wine clarity may come to mind – how to keep wines clear and bright without fining and filtration? For Mayer, a key factor is not moving the wines. “My barrels do not get moved unless they’re empty. When people drive barrels around on forklifts, take them off, then they empty them, by that time they’re all shook up. You’ve just had 10 months of settling but the whole settling process is for nothing because you move them. “My wines are so clear it’s not funny without any filtration because I don’t move them for the year, or 10 months, and then when I empty them I don’t take them down with a forklift and drive them around. They actually get emptied where they’ve stood for 10 months. And I’m quite generous with the racking, I leave a lot of s**t in the bottom so I can sell a bright wine without any filtration. “My wines aren’t cloudy – you don’t have to have cloudy wines to be unfiltered. Everything stays on lees for one year, there’s only one racking, one handling into the blending tank, a sulfur adjust, and then bottled. Everything stays on lees, nothing’s racked off, whether it stinks or not. Minimising wine movement is important for large-scale winemakers as well, as Peter Rattray explains. “We try and keep movements down to a minimum to save cost – it’s a bit like filtering in that the more you do it the less efficient you are,” he said. One piece of advice from Mayer for other winemakers looking to reduce or eliminate fining and filtration is to keep it clean in the winery. This article was originally published in the February edition of the Grapegrower & Winemaker magazine. Click here to subscribe.